This was great. Next time, I'll try to make the gnocchi myself, as the store-bought pasta was the worst part of the meal. Still a resounding 8 out of 10 though! Gently boil sundried tomatoes for 3 minutes until softened. Remove and slice julienne. Set aside. Remove stems from spinach and wash, then slice into julienne. Set aside. Core the red pepper and slice julienne. Set aside. Heat olive oil in a large saute pan on medium heat, add the gnocchi and saute for a few minutes until color is achieved. 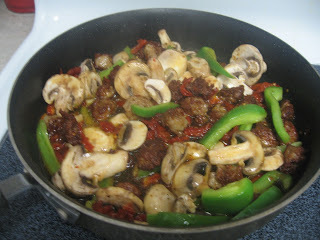 Add red pepper, mushrooms and tomatoes and saute for 2 minutes. Add the pesto and gently mix well. Add the Parmesan and spinach. Season with salt and fresh cracked pepper. 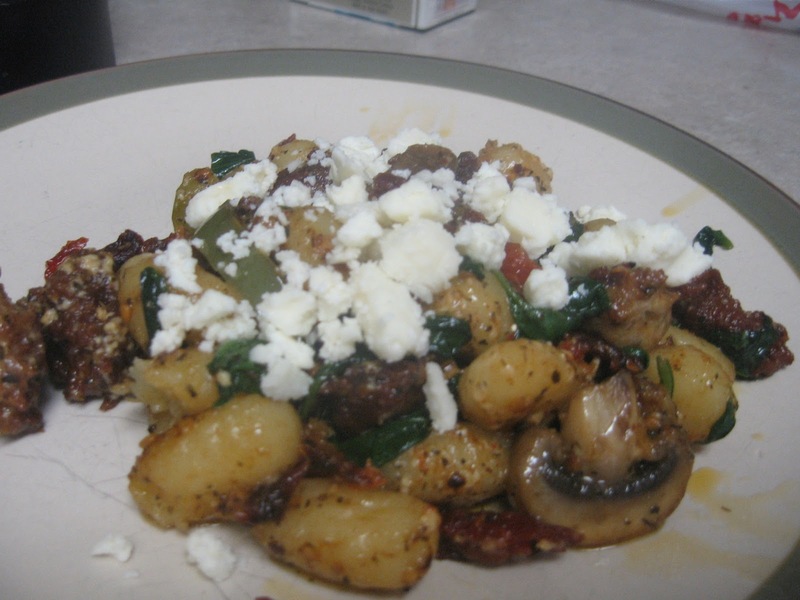 Remove from heat to serving dish and top with crumbled feta cheese. This honestly looks great! 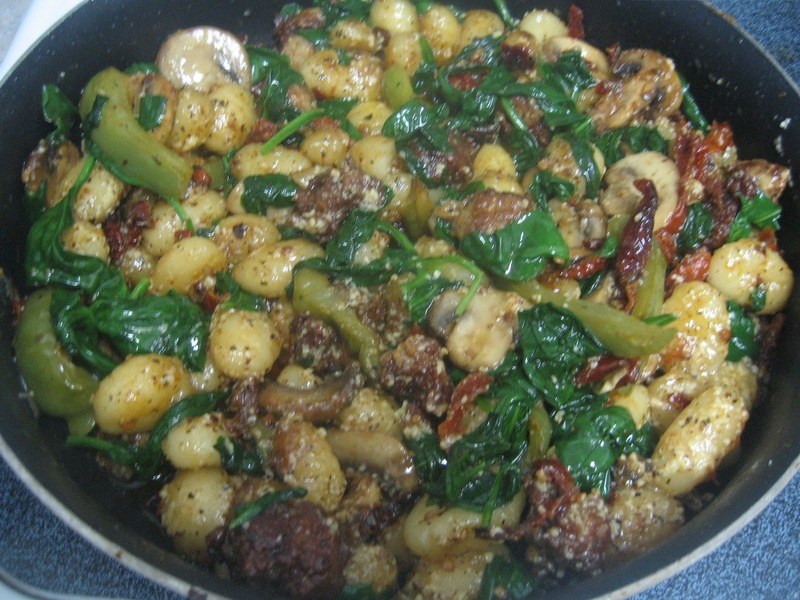 I am a gnocchi fanatic :) Thanks for sharing this reciepe...I can't wait to try it!